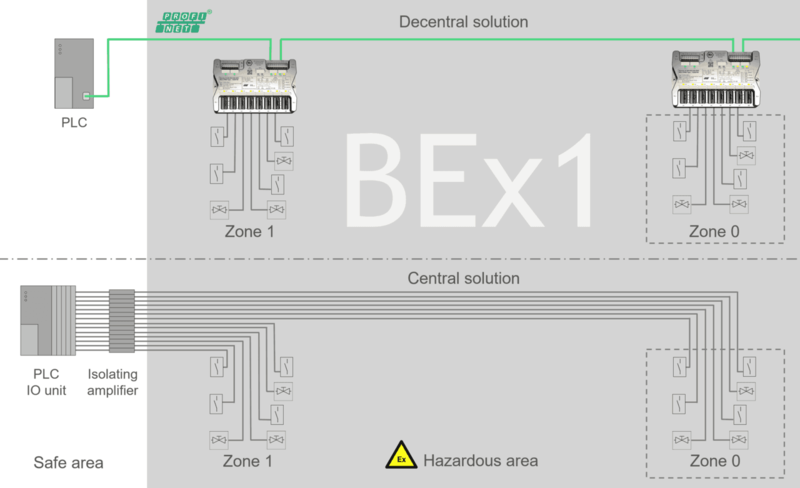 Worldwide first decentralised and compact Remote IO system with Profinet for the hazardous area Zone 1/21. 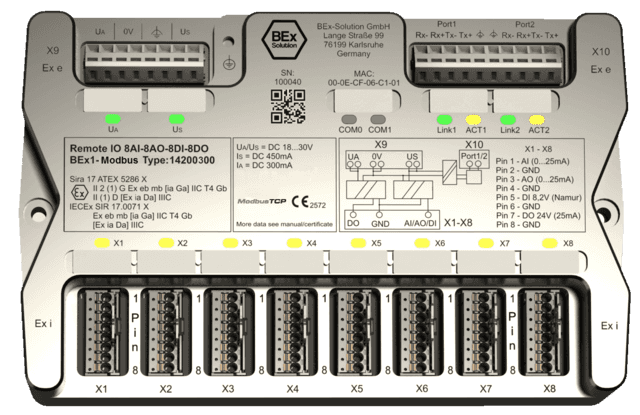 BEx1 includes busnode, isolation amplifier and 32 intrinsically safe IO channels with four different functions on smallest space. 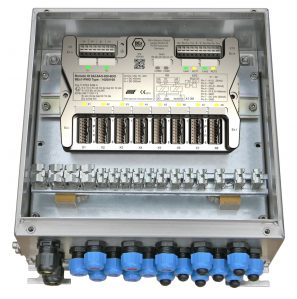 The module can be installed in Zone 1/21 with a certified Ex e enclosure and connects sensors and actuators from Zone 0/20. Worldwide first decentralised and compact Remote IO system with Modbus TCP/IP for the hazardous area Zone 1/21. In the past, conventionally wired systems were common. Nowadays, bus technology and the use of remote IO systems are established throughout the industry. This reduces the cabling effort significant and saves costs. In particular compact IO modules allow a spatial layout of the system in the field. 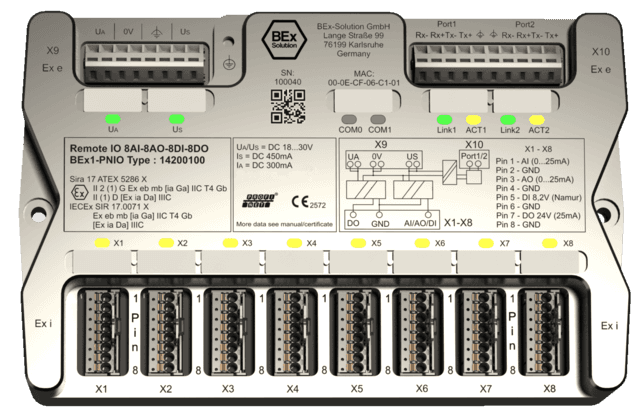 Sensors and actuators in hazardous areas can be connected directly to the BEx1 module. Isolating amplifier, as well as analogue and digital IO modules, are no longer necessary in the safe area.